They say necessity is the mother of invention. For me, the 1001 food list and my current push to lose weight (and hopefully never have to do this weight loss schtick ever again) means that I am feeling a bit more restricted. Sure, I did have half a slice of Dobos torte last week… but this isn’t about that. Herbes de Provence is very much in the same company as Shichimi Togarashi and Ras-el-Hanout since it is a blend rather than a single herb/spice. 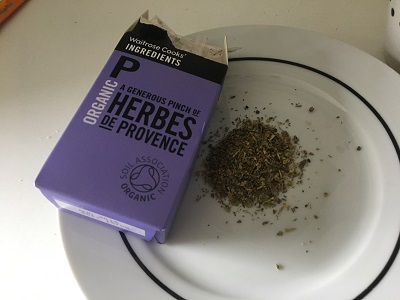 The name comes from the French region of Provence where this blend of herbs (which can include savory, rosemary thyme and marjoram) is an integral part of their cooking. I have nothing traditionally Provencal on the dinner menu (although I once did manage to make a pissaladière from scratch with decent results) I figured that I would be able to substitute this into another recipe that requires some dried herbs – enter a recipe for stuffed butternut squash. 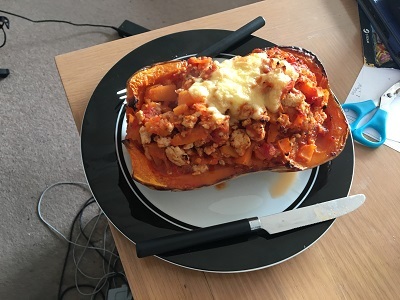 Right, so I actually did start for a recipe for this one, but a lot of substitutions later I ended up with this monster squash which (upon only eating half of what you see here) left me feeling so full that I skipped dinner later in the evening. Scoop out as much of the butternut squash insides as possible (this hurts after a while). Finely chop the insides and set aside. Spray the empty halves with some oil and bake in the oven for 30 minutes so that it is tender. As the squash bakes spray a large saucepan (I used a wok) with oil and cook the turkey mince through. Add the onion granules and garlic powder and stir in for 2 minutes. Add in the tins of tomatoes, herbs de Provence, tomato puree and the set aside squash insides. This needs to simmer for 20-30 minutes so the squash insides are no longer hard. Spoon the meat mixture into the roasted squash halves. Scatter cheese on top and bake for a further 15 minutes so that the squash skin has blistered nicely. 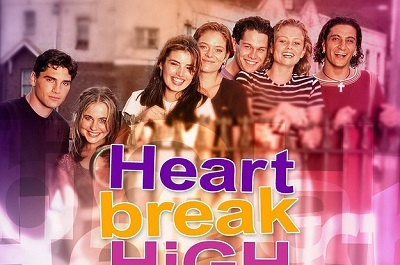 I am going to start this off with the acknowledgement that I am, no longer, among the target demographic for a show like Heartbreak High. Not that I ever really watched teen soaps/dramas, but still I was a teen once and many teens in Australia (and apparently the Netherlands) would tune in on a regular basis. However, as an adult and a former teacher, I could not bring myself to enjoy this show. In the vast majority of the situations I found myself on the side of parents and teachers since a lot of the conflict I saw was, unsurprisingly, childish. No – you should not be getting that motorbike when you are in high school. No – you should not give up school because that girl caught your eye. No – stop complaining about how this subject is irrelevant to your life, it matters because without good exams you are going to be scuppered. Now, there were storylines that did peak my interest every now and then. Like how there was one student having to look after her siblings since her mother went back to Latin America to find the father. When the show managed to tackle issues and NOT make it feel like an after school special, it was okay. Otherwise it just felt immature, preachy and a bit too convenient at times. Still, this isn’t meant to be the 1001 best shows, but those shows which have done something different or original. I guess that this is the Australian version of Hollyoaks… and I have to say that I am not looking forward to that one when it’s name come out of the Disney bucket. Greed is a hard movie to write about. I mean, how many films are there which have so many different cuts and yet have the original director’s cut be such an impossible dream for cinephiles. I went for the free out of copyright version of Greed, which is among the shorter versions available… so that doesn’t mean the 4 hour version that has been pieced together. As someone who ranks Sunset Boulevard as their most favourite film of all time it is always interesting to see one of Erich Von Stroheim’s directorial efforts. I have to say that Greed is a bit better than Queen Kelly. However, I can also see how much better it would have been if it hadn’t been butchered by the studios. The central thread of Greed – a story of how greed destroys people – remains mostly intact. I say ‘mostly’ because there are still noticeably massive jumps and some plot holes. I can only imagine how much richer this film would have been if Von Stroheim’s original vision had been left intact. I have to say it could have done with some of the humorous bits that had been excised. 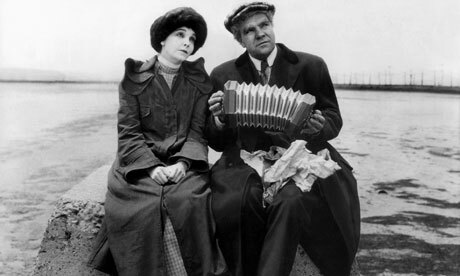 As it stands Greed is an interesting reminder of some of the madness of early Hollywood films. It’s been so long since I last saw one of these bit 1920s films where caution was thrown to the wind and if 14 people had to be hospitalised in the process of getting a scene finished then so be it. It doesn’t rank as highly on the insanity stakes as Intolerance, but when you read some of the stories about how this was made… you get pulled into a Wikipedia hole. Like how the director wanted to have real knives thrown at his main actor. Madness. Then again, this whole film is about a sort of madness so it’s rather fitting. 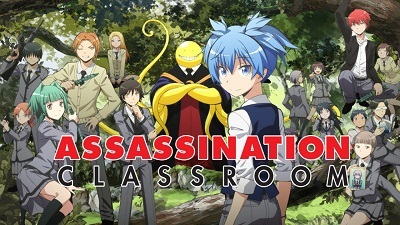 In between watching One Piece and Gintama: Enchousen I started watching Assassination Classroom. However, this overlapped with my discovery of Stardew Valley, which meant that I needed an anime where I could watch an English dub. Therefore One Piece took over and I came back to Assassination Classroom at a later date with only 8 episodes to go. Like with Clannad: After Story I made an effort to watch the preceding series, if only to make sense of what I was about to watch for the anime list. I am so incredibly thankful that I did this for Assassination Classroom, otherwise I would have missed so much and I would have been lost. Honestly, if it was not for the final few episodes of Season 2 I would say that I found the first series to marginally be the better one. However, the way that the series managed to polish off the main story and give a genuinely satisfying epilogue just pipped it for me. So what’s this show even about? Well we start off with the moon exploding into a permanent crescent. The major suspect? A squidlike entity, later referred to as Koro-sensei (a play on ‘korosenai’ – the Japanese word for invincible) who cannot be hurt by regular weapons because he is made of some form of anti-matter. For some reason Koro-sensei bargains with the government that he will stay in one place, but only if he can become a classroom teacher of a certain class. The catch being that he is to teach his class the way of the assassin so they are able to kill him before he explodes. It’s an odd premise which, on the surface, should make for a nice throwaway series. And yet, by the time you reach the end of the second/final season you care so deeply for the characters – especially Koro-sensei himself and a handful of his students. 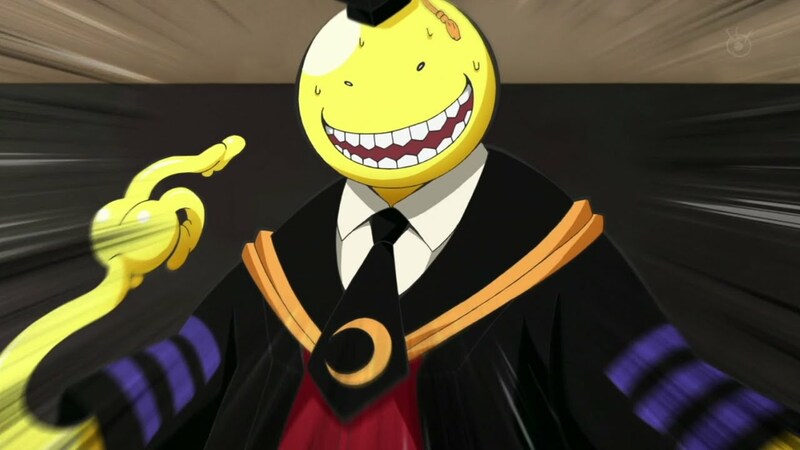 Speaking of Koro-sensei – I love him so much. If I were to make a list of my favourite anime characters he would likely be among the Top 10 with some characters from Steins;Gate, Yuri On Ice, Hunter x Hunter and Bleach. He works so well because there is a genuine threat about Koro-sensei whilst also being the nicest and most supportive teacher you could ever hope to have in a class. I mean, this is someone who can move at the speed of sound and kill you in a split second, yet he is someone who goes out of his way to make the lives of his students better. I wish I could have been more like Koro-sensei, then again I’m not invincible. So yes, I loved this show. There’s more to be said, but I have a hankering for some Lego Dimensions to round off the evening. I have no idea what I’ll be watching yet. It’s been a while since I did a sports anime… so that might be my next port of call. It didn’t take too long until I got to the first (chronological) English composer on this list. Whilst it does opens up the world of classical music a little bit more, we are still very much in Western Europe. In fact, you have to get a fair bit into the list before you venture into Eastern Europe and then a lot further for pieces from outside of Europe. 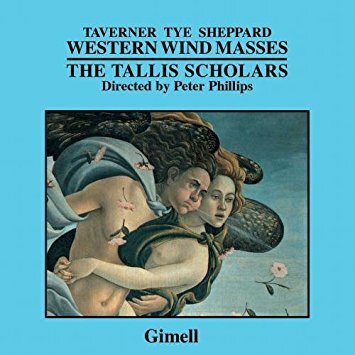 The entire classical piece is a mass written around this, which is impressive when you consider that the piece is between 23-29 minutes long (depending on the rendition). When compared to some of the other earlier pieces I have listened to from this list it doesn’t feel that a lot has moved on in 400 years. I guess this is why the list has been able to some up 3-4 centuries of classical music within 10 entries. I find myself wondering how much will have moved on until I get to the 24th entry, the first classical piece in the book where the title features the main instrument. Okay, so it’s a lute, but at least it shows that there will be some more instruments entering the fold of classical music very soon. I think it is fair to say that we all have a restaurant that we have been meaning to try. Commuting into London every day means that my list of restaurants I want to sample will be about the same length as my arm. Previously I have visited places like St Moritz and the Hawksmoor to cross them off of this internal list made whilst acting as part of London street traffic – today I visited the Gay Hussar on Greek Street as part of a long awaited catch-up with some uni friends. It also meant I was able to cross a cake off from the food list. So it was a win-win-win. Being in a Hungarian restaurant I figured there are one of two ways to go when it comes to getting a main course. Either you get some goulash or chicken paprikash. As you can tell from the picture I went for the latter. The sweetener for me was the serving of galushka that it came with… man those were good with the sauce. 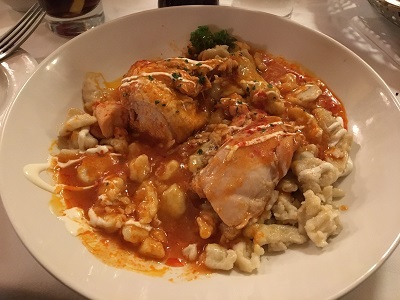 Hub had the goulash and as nice as that was… I know that I made the right choice with my paprikash. There were plenty of other things on the menu that I debated with, and given the wonderfully warm treatment we got in this restaurant, so I know there will be a return visit at some point. After all, where else am I going to get some chilled sour cherry soup? Here we are with the main event. 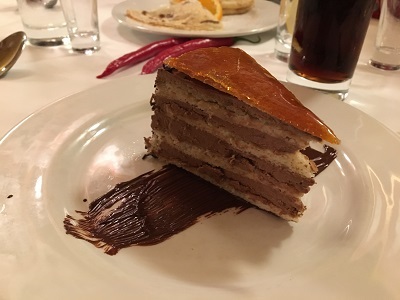 The Dobos torte: a cake first showcased back in 1885 that has since become well known throughout Hungary. Then again, if you have a food that the royal family gave a thumbs up to it is unlikely to disappear. The cake itself alternates between a light sponge and a chocolate buttercream. That glistening triangle on top is a wedge of hard caramel. The amazing trick is that it is not a rich cake. All the layers are airy enough to not make you feel bloated and yet it feels like a substantial cake. In all honesty I had to eat the caramel separately as if it were a cracker, else I would have completely crushed the cake in an effort to break the caramel in half. Still, that was probably for decoration, right? Other than that bit of uncertainty this didn’t really hit the sides on it’s way to my stomach. Diet be damned, I like a good chocolate cake! In what is quickly becoming a tradition I spent the afternoon after the Academy Awards broadcast watching old films as a way to deal with the tiredness of staying up until 5 in the morning. Speaking of the Academy Awards – I know this goes up 6 months after the ceremony, but how awful was that mess up at the end. I felt physically sick as the whole thing unfurled. At least those awful rumours about Marisa Tomei’s win for My Cousin Vinny can finally be put to rest? Anyway, this year’s old films was a double bill of All That Heaven Allows and Now, Voyager since melodrama is the best way to deal with tiredness. I don’t know what I expected from Now, Voyager. The title card made me expect something more along the lines of An Affair To Remember and instead got something with a lot of interesting depth. The infinitely watchable Bette Davis plays Charlotte – a downtrodden and shabby woman who has been driven to a nervous breakdown by her tyrannical aristocratic mother. 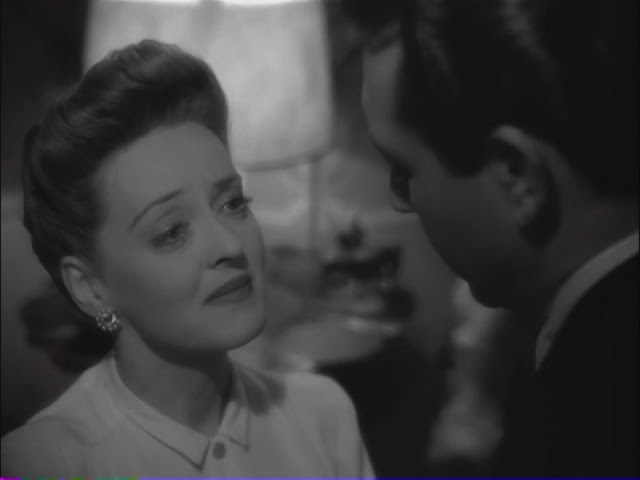 It’s not too much of a spoiler to say that most of Now, Voyager is about how Charlotte finds a way to heal and become a woman in her own right. A lot of this growth comes courtesy of her lovely psychicatrist (Claude Riains) and sister-in-law (Ilka Chase). However, the largest proportion of personal growth and confidence is down to an affair that she has with an unhappily married man named Jerry (the very lovable Paul Henreid) and the fallout of them not being able to be together. The most interesting (and slightly weird) part of the fallout relates to Jerry’s youngest daughter Tina. She plays a large part in the the final half hour of the film where she is de facto adopted by Charlotte because Tina’s mother wants nothing to do with her. In one way this is a win-win situation as Tina and Charlotte are able to give each other the love they have always been missing, but on the other hand it’s just that little bit creepy. It is logicked out that in this way it is like Jerry and Charlotte are able to have a child together and this arrangement will allow them to be together despite the fact that he is still married. I can see how, for many people, this is an ending that should not work, but for me it was arguably the best ending possible for all the characters you cared about. It’s a weird ride, but an ultimately satisfying one. Bette Davis and Paul Henreid have amazing chemistry and that helps to anchor the film in some sort of melodramatic reality. There are many reasons that I go to my local Lidl. Usually it’s to get another packet of fennel salami or try and find some schnitzel (they haven’t sold it for nearly a year… so I should probably mourn my loss and mourn my loss and move on with my food life). During today’s visit I was greeted with a beautiful slab of food list nougat. Silky white and adorned with almonds. I wouldn’t normally buy nougat as a sweet of choice, but I do always enjoy eating it when it’s made available to me. Especially if it’s turrón brought in by a co-worker. 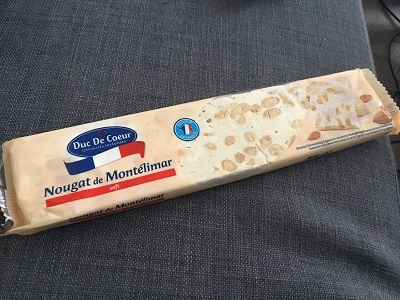 So why is Montelimar nougat singled out by the list? Mainly because one of the three main types of white nougat and, by whoever made the list, thought of as the best. Not going to disagree with this assertion since the only thing stopping me from eating the whole bar was the increased calorie count on my fitness app. This nougat really is a far cry from whatever machine made nougat can be found in a Double Decker chocolate bar. It’s firmer, not as sticky whilst still being sticky and has more of a depth of flavour. Aside from the sugar and almonds there is also some honey and proper vanilla. Whilst it is still sweet there is enough of a savoury flavour provided by the nuts to prevent it from becoming sickly. However, given the fact that you are basically eating pure sugar and nut fat was enough to stop me from reaching for the fourth torn off chunk. Might go back later though. Previously on this blog, some 9 months ago, I listened to my first Bob Marley album: Catch A Fire. I left this album feeling as if I walked in with a pre-conceived notion of what reggae and it was pretty much validated. Did this change after listening to Natty Dread? No. No, not really. I mean the sound of the music has moved on a bit. I wouldn’t go as far to say it has matured (mainly because I am not sure what matured reggae sounds like), but it there appears to be more of a blues influence in the songs. Also, I could actually pick songs apart from one another; something I had serious trouble with when listening to Catch A Fire. Thanks to this I think I understand how ‘No Woman No Cry’ became the better known Bob Marley song. I first came across this song during an ill-fated game of Singstar where the idea of having ‘cornmeal porridge’ amongst the lyrics felt completely alien to me. Now that I am older, and not trying to sing this song to gain maximum points, I think I can better appreciate it. However, I still find myself in the position where I am left utterly cold by a genre and cannot see a reason for re-playing this album. 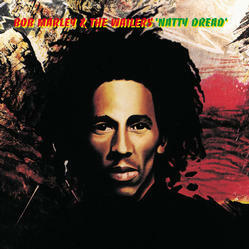 I know this album further develops the political side of Bob Marley and some people go absolutely mad for his music. Just not me. I must be one of the few people of my generation to have seen the original 1932 version of Scarface before seeing the remake. Not a boast or anything, just one of those weird things that happen when you bust your wrist and watch your way through your mum’s DVD collection. What I didn’t realise when watching the original Scarface is just how similar the main beats of the story would be between the two films. Especially the origins and the sequence of events that lead to the main character’s downfall. Obviously there had to be an update to make this a 1980s film. Bootleg booze becomes cocaine and a recent immigrant from Italy turns into a Cuban (although given Al Pacino’s background he probably would have been more suited to the original character). Now, I know that Brian De Palma’s Scarface is highly regarded now (much more than when it was first released) and has become one of those oft-quoted and pastiched films. It’s pulpy take on gangsters and the gratuitous amounts of swearing and violence has left an impact on pop culture. I mean one of my favourite video games (Grand Theft Auto: Vice City) derives a lot from this. And yet, I really didn’t think this film was all it was cracked up to be. For one thing it’s about 30-40 minutes too long. I get that this was an attempt to make a pulpy gangland epic, but this is no Once Upon A Time In America. I also (and this is going to be controversial) question Al Pacino in this film. I am trying to find the point where his acting changed from the excellent work of Dog Day Afternoon and The Godfather to whatever type of acting we saw in Scent of a Woman. 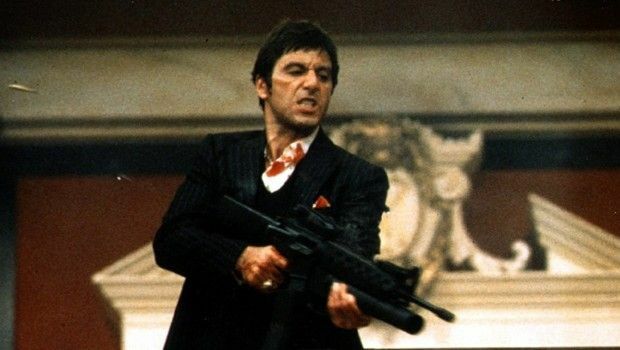 In Scarface… he just has one emotion, various shades of furious. Also, at 43 he isn’t quite the right age for Tony Montana unless they has instituted a 7-10 year time jump. Then there is the fact that this film is painfully eighties. I swear it’s one of the few decades to have films where the music cues badly age the movies. There is a bit in a South Park episode where they skew the typical eighties montage, what I did not know is that the song (‘Push It To The Limit’) was from Scarface. That was a weird moment. Overall it’s isn’t like I didn’t enjoy this film. I gave it a 6 out of 10 on IMDB (yes, I rate every film I see) which, to me, means it was good enough, but with some fundamental flaws. I think that’s fair.